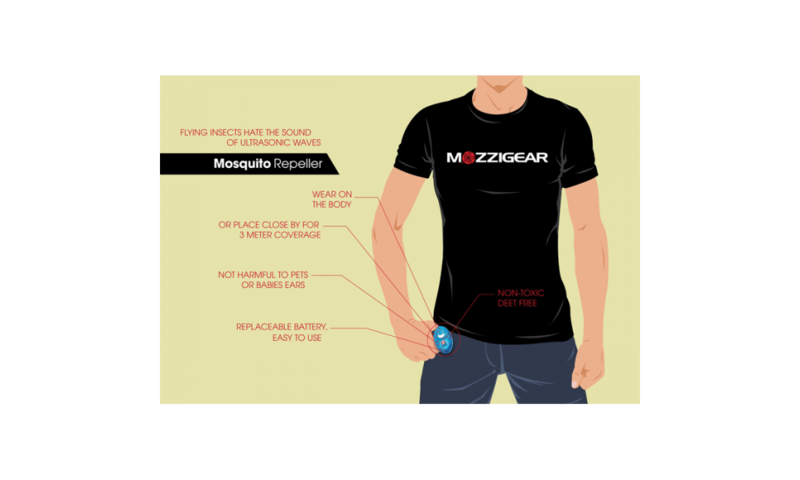 The Mosquito Repeller is a portable ultrasonic mosquito repellent that can be worn on the body or placed close by to help keep mosquitoes away. It has a range of up to 3 meters. 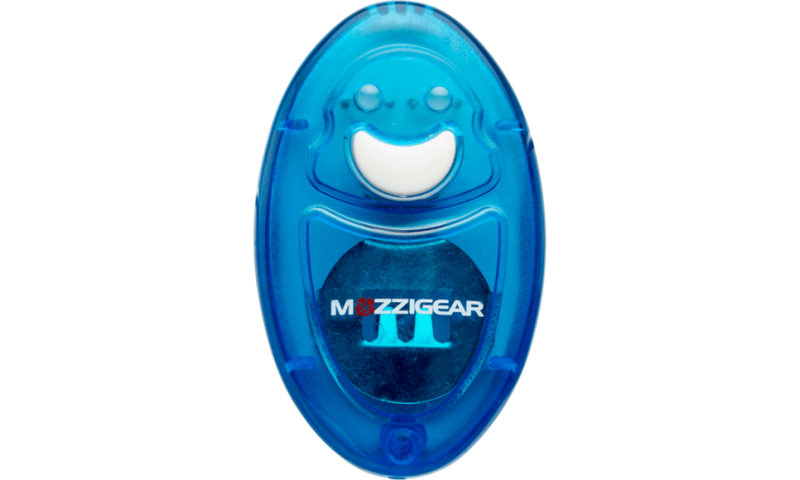 The ultrasonic Mosquito Repeller emits very fast and powerful 5-20 KHz multi-frequency sound waves that stun and cause discomfort for most mosquitoes, thereby causing them to move and stay away. 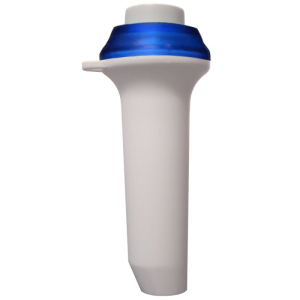 Intelligent Health Solutions offers the Mosquito Repeller online for your convenience. 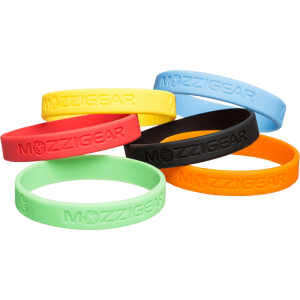 Simple, convenient and safe to use – just wear on clothing or place near the body. 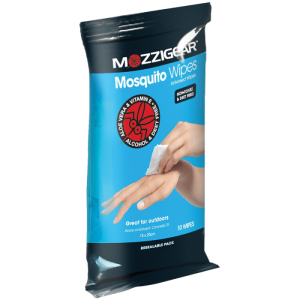 An ultrasonic mosquito repellent is odourless and chemical free - ideal for people with sensitive skin. 3 times settings (4hrs, 6hrs and 12 hrs). 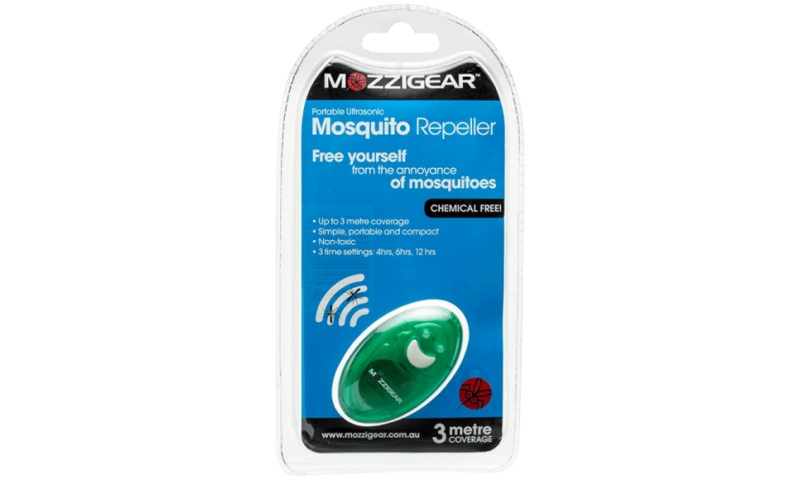 Place the ultrasonic mosquito repllent on your person or close by to the area that you wish to be protected and set the timer as required. Press the white button to select time setting of the Repeller. Fourth time to turn off the device. Ultrasonic Pest Repellers are used as substitute for Mosquito coils and liquids to avoid inhaling of toxic fumes. It is the non toxic way to repel pests like mosquitoes. As per scientific information and experimental evidences, the animals respond to US and avoid its presence. Human ear is not sensitive to US because the eardrum cannot vibrate as fast as US. Ultrasound has high frequency, so the wave is very powerful. US travel along straight line even in the presence of obstacles. When the US hits an object, it bends and round and spread in all directions. Even though human ear cannot sense US, many animals can produce and hear US. Many insects, rodents, bats and small mammals communicate through US. Insects have sensory structures to produce and detect ultrasound. Cockroaches have “Sensory hairs” to sense US. Spiders, Wasps, Beetles, Flies etc have a “Tympanic membrane” to detect US. Fleas communicate using high frequency US . Male Mosquitoes produce US to attract females. Female mosquitoes have sensory structures to receive US. How does US affect animals? The US sensors are present in the antennae of Mosquitoes and genetalia of Cockroaches. US emitted by the Repeller will scare away the pests and confuse them. Ultrasonic sound will create stress on the nervous system of insects and jam their own US frequency. This will immobilize the insects and they escape from the source of US. Does the US pass through walls? No. Ultrasound will not pass through walls like the ordinary sound waves. When the US hits an object,it bends and round the object and spreads. Male mosquito is the natural enemy of female mosquito after breeding. Both male and female mosquitoes use plant juice as food. But female mosquito requires human blood protein for the maturation of their eggs. Male mosquitoes will not bite human beings. On the first day of emergence, the female mosquito will not bite but after mating with male it starts to bite human beings to get blood. Female mosquito will not allow males to mate again and they avoid the presence of males. Females detect the presence of males by sensing the US produced by the males. If an US generator is used, it will imitate male mosquito by producing 38 kHz US . This will repel Female mosquitoes. Moreover the US will create stress on the US sensillae present on the antenna of female mosquitoes, so the move away from the source of US . Is it safe for human beings? US Pest Repellers are widely used in Homes, Gardens, Farm yards etc. to repel various kinds of pests. Commercial US Pest Repellers are designed to emit US in the frequency range 20 kHz to 100 kHz. US above 20 kHz is inaudible to man but children can hear the US to a certain level up to 30 kHz. Many house hold appliances like Telephone, Computer, Vacuum cleaner etc emit US, but we cannot hear it because it is inaudible. US is considered as the safest method for scanning pregnancy. US scanning is widely used in hospitals. Echocardiogram also uses US to image the heart’s functions. As per the scientific information, US will not cause any health problems.